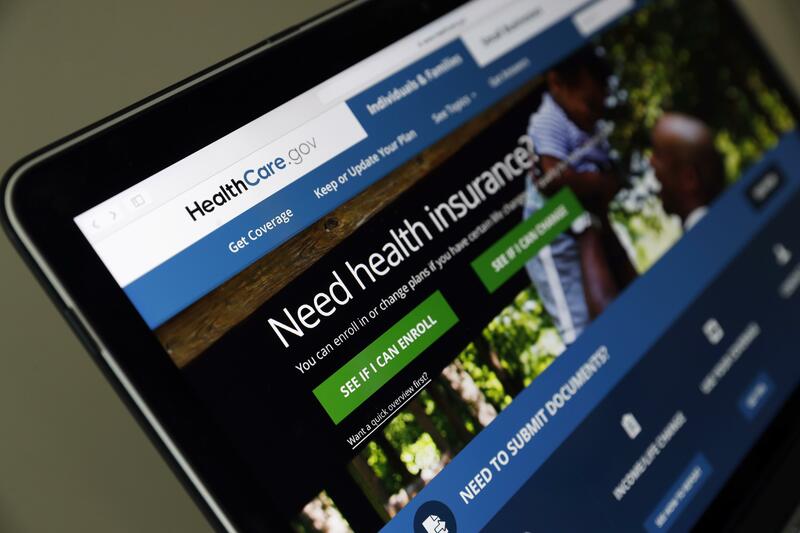 Mon., Dec. 11, 2017, 11:35 a.m.
WASHINGTON – Consumer advocates reported some glitches Monday in the final days for “Obamacare” sign-ups, although the Trump administration largely seemed to be keeping its promise of a smooth enrollment experience. That information was incorrect because every county in the nation currently has at least one health insurer offering plans under the Affordable Care Act for next year. Friday is the last day to enroll for subsidized private coverage in 39 states served by the federal HealthCare.gov website. Consumer interest has remained brisk, even as the Trump administration cut the sign-up season in half, reducing it from roughly from 90 days to 45 days. President Donald Trump came into office looking to dismantle Barack Obama’s health care law, but it survived. Now the administration is facing a crush of customers trying to enroll for 2018. Stephani Becker of the Sargent Shriver National Center on Poverty Law in Chicago said the “no plans” glitch was reported by consumer counselors starting late last week, and again on Monday. It also surfaced in other states, she said. Trained counselors know enough about the program to question the accuracy of the message, but “the average consumer might just walk away,” Becker said. An administration official said the issue has been resolved, and HealthCare.gov is reaching out to the consumers affected to encourage them to complete their applications. However, Becker said advocates had gotten a similar response from the administration last week, and the problem continued. For millions of consumers eligible to enroll time runs out on Dec. 15. Thursday and Friday are expected to be the heaviest days. That could slow the HealthCare.gov website, and lead to long hold times at the federal call center. For most people, this is the last opportunity to secure coverage for 2018, or switch from an existing plan. One exception: People living in hurricane-affected areas can get an extension to sign up by Dec. 31 by contacting the HealthCare.gov call center. That could make a difference in states such Florida, Texas, and Georgia. Enrollment fluctuates in the course of the year, but it’s estimated that 9 million to 10 million people currently have coverage through the ACA’s marketplaces. The markets cater to people who don’t have access to a job-based plan, and participation is expected to dip somewhat next year. In a twist, many people eligible for financial help may actually be able to pay lower premiums in 2018. Although list price premiums for the most popular plans went up sharply, so did taxpayer-provided subsidies that limit how much individuals actually have to pay. In many communities, bare-bones “bronze” plans are available for no monthly premium to those eligible for subsidies. Deadline hour for enrollment will remain the same this year – midnight Pacific time. That means consumers on the East Coast will have until 3 a.m. on Saturday morning to enroll. During the Obama years, officials allowed a grace period for consumers who started an application, but were unable to finish by the deadline. It’s unclear if the Trump administration will allow such extensions, or whether it will strictly enforce the deadline hour. Previous extensions allowed hundreds of thousands of consumers to enroll. Failure to provide extensions this year would be a mistake, said Andy Slavitt, who oversaw HealthCare.gov under Obama. “It really would not be fair to people, particularly if there are technology challenges with the last minute surge as there have been every year,” Slavitt said. While Dec. 15 is the deadline for states served by HealthCare.gov, that’s not the case everywhere. Most states that run their own health insurance websites are providing an extended period for consumers to enroll. In California and New York, for instance, the deadline remains the same as last year – Jan. 31. Other states have deadlines spanning from late December to mid-January. Published: Dec. 11, 2017, 11:35 a.m.